National Handwriting Day is January 23rd and I’ve been busy thinking of ways we can build our hand writing muscles and celebrate it! First let’s start with a few reasons why it’s important to practice our hand writing and why we should make it a daily practice. Hand writing is brain food!! It is even argued that cursive writing offers more benefits to the brain giving it an opportunity to train, and trigger different parts within the brain. I’m no scientist, but what I know for sure is that I remember things more when I’ve written them down. I also notice that I commit to things more seriously if I’ve written them down. I hope these few reasons are enough for you to participate with me in celebrating National Handwriting Day with a few fun prompts and ideas that you can try yourself. I’ll be posting daily on my Instagram feed as well as on my Facebook page. So if you are a fan of Instagram, please click follow here to make sure you don’t miss out on my prompts and posts. If you prefer to use Facebook to follow along, no problem! 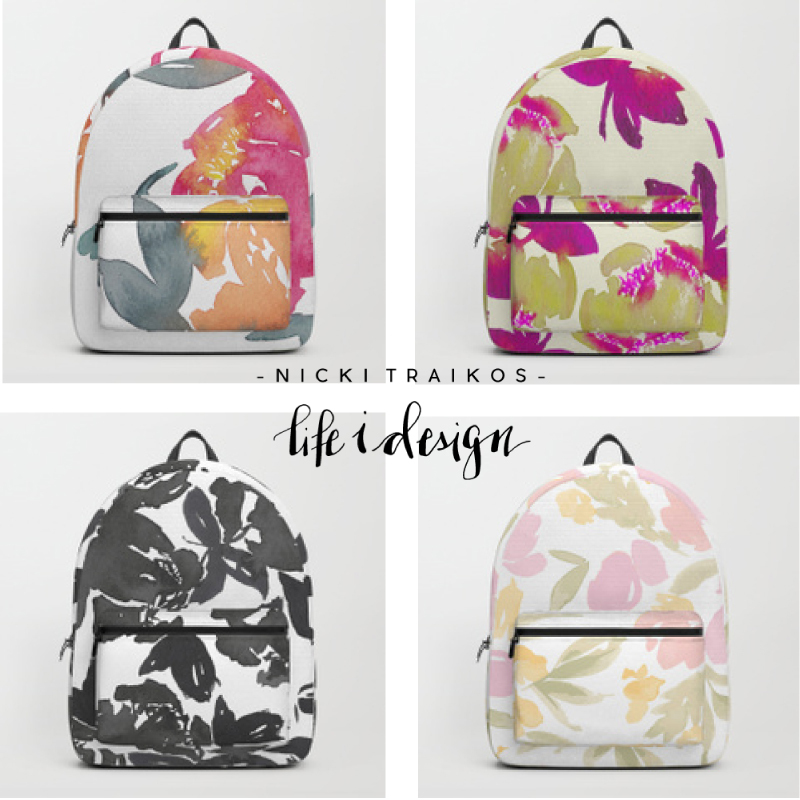 Make sure to like life i design to be notified when I share over the next 7 days! As you work through the prompts and list that I’ve created for you, I’ll be sharing all week long in my stories and social media posts. Will you share them too?! If so, tag me using @lifeidesign and/or use the hashtag #lifeidesign so I can check in and see what you’re sharing too! And if you’re hand writing isn’t beautiful or you’re intimidated, don’t worry!! My everyday handwriting is pretty horrible. Honestly. Look at the pic below and you’ll see that I’m not kidding! My calligraphy writing is beautiful because I use the precise strokes necessary to form each and every letter. It’s what I teach! Here’s how to celebrate National Handwriting Day with me! Write out your to-do list for the week! Kill two birds with one stone. First, you’ll be planning out your week in advance as you write your list, second, you will be practicing handwriting. Then you will also experience the sheer gratification of checking things off that to-do list as you complete them! Just an aside… do you prefer to check an item off your list when it’s done, or cross it out?! Just curious. On Monday, how about picking a new quote that speaks to you and writing it out. Maybe use it as inspiration on your to-do list. Perhaps you want to stick it on a wall near your desk, or on your fridge, or maybe even bathroom mirror! What a great exercise and pick me up! Tuesday is the day before National Handwriting day. So I think we should make it a good one! How about writing out a line from your favourite song?!! Take a pic and post it to inspire others to celebrate on National Handwriting Day by joining us! Happy National Handwriting Day! Tonight I’ll be teaching an in-person modern calligraphy workshop this evening! I am excited to teach and inspire a few new people how to use a dip pen and ink to write calligraphy with. I’ll be sharing a video on YouTube on January 23rd showing you exactly how you can practice your modern calligraphy lettering and what a good amount of practice looks like! Be sure to subscribe to my YouTube channel here to get immediate access to the video! Practice writing out the word welcome after you’ve watched this video a few times. Ok, since I published a video for you on Wednesday, try writing a word in calligraphy style lettering! Check out this quick video showing you how I use a waterbrush pen to write the word welcome. how many different ways can you write out our name!? How about you practice writing your name in a few different styles?! Maybe use all caps, simple printed letters or very flowy, cursive writing. How many different styles can you come up with?! To celebrate the seventh day of celebrating National Handwriting Day, how about writing a note to a special someone. Maybe a birthday card, a thank you note or even a love note to your spouse, child, parent or friend. Share some positive energy and treat someone to a personal note to let them know you are thinking of them! I hope you’ll join me on at least one of the few days that I’ll be celebrating and please be sure to follow, post share and tag me if you’re posting your practice on social media too! with an in-person workshop where you’ll get personal instruction, a workbook, a full kit and access to the online classes to help you continue your practice. Sign up with your email address to receive blog posts like this one directly in your inbox!